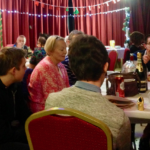 Every end of the year we are having our traditional 'Christmas Quiz and Social', a festive get together organised jointly with the Noel Park Residents Association. It's a great occasion that gets residents from all parts of our areas together, and fun for all ages. In a celebration of community our area can be proud of, we returned to the Asian Centre as PMRA hosted the popular and now long running event. As every year, the organising team's first task was set to work decorating the spacious room - a fun but not insubstantial task requiring lots of tinsel and balloons to give that special 'christmas-y feel'. The event, now more than 10 years old, has a committed group of locals popping by early to climb ladders to apply silver stars and sparkly baubles to walls and windows, or whatever needs a festive touch. 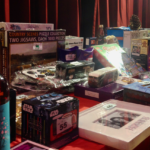 Meanwhile, tables need to be set, the buffet prepared, the tombola table laid out with gifts from residents and some of our favourite retailers and the bar stocked up with wine, beer and soft drinks. By 7pm, the first guests arrive, and the quiz teams are forming - made up through friends, neighbours, colleagues or perhaps a thought on which might be the winning table. This year Ryan King, Co-chair of PMRA and pastor of Grace Baptist Church in Park Ridings had kindly volunteered as quiz master. The quiz is finely balanced to give everyone a chance to join in, the teams are whispering and quietly discussing their answers. And no matter how friendly everyone is, there is a distinct feeling of competition, even amongst neighbours. 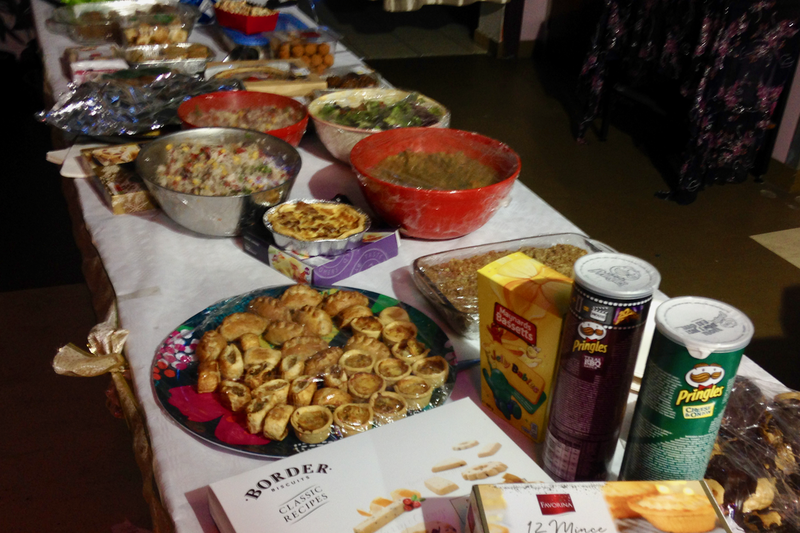 The quiz has a break halfway through and the buffet is declared open. 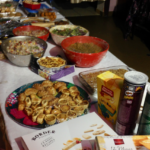 Some residents have prepared meals, including curries and salads, others have bought biscuits and quiches, Indian snacks and other goodies. After all, quizzing is a hungry business and soon plates are filled with food and the (reasonably priced) bar swings into full action. 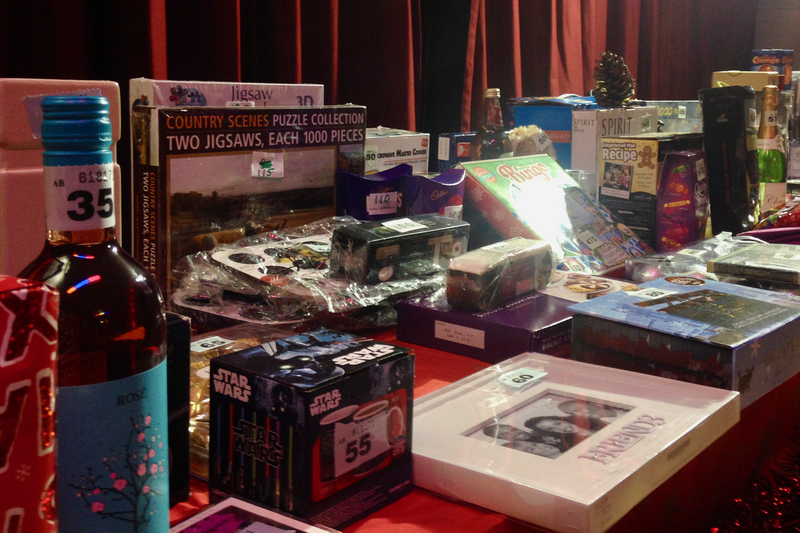 It's another fantastic tombola and soon, everyone's a winner. The proceeds help to fund the hall hire fee and cover our expenses: if we are lucky, there is a small surplus to help the residents associations orgainsie future events or help pay for plants and local improvements. Everyone's a winner! Dorothy's ever popular tombola. We are back for the final rounds of the quiz, and after strengthening body and mind with food and drink, the tables are buzzing. The teams are all very close and the last questions may well decide the winner. 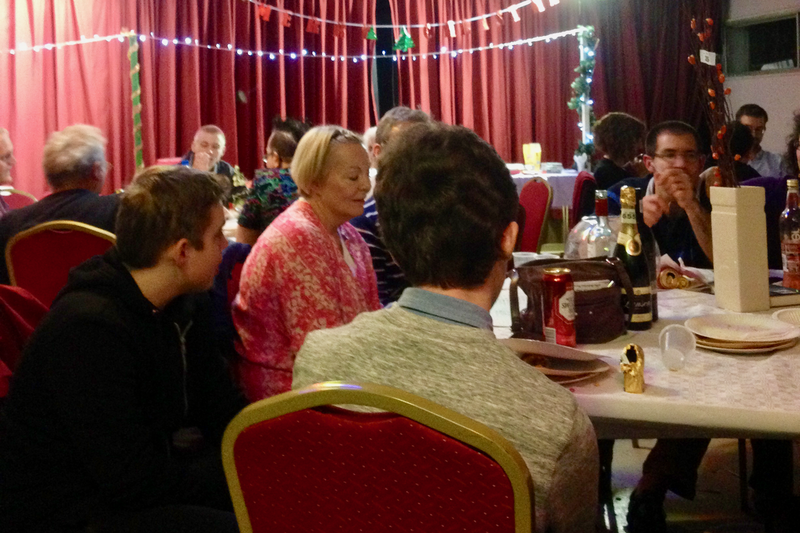 This year it wasn't us, but it was, as every year, an enormous joy to meet all those people from the neighbourhood, to renew ties with friends from Noel Park, and to catch up on gossip and local developments.